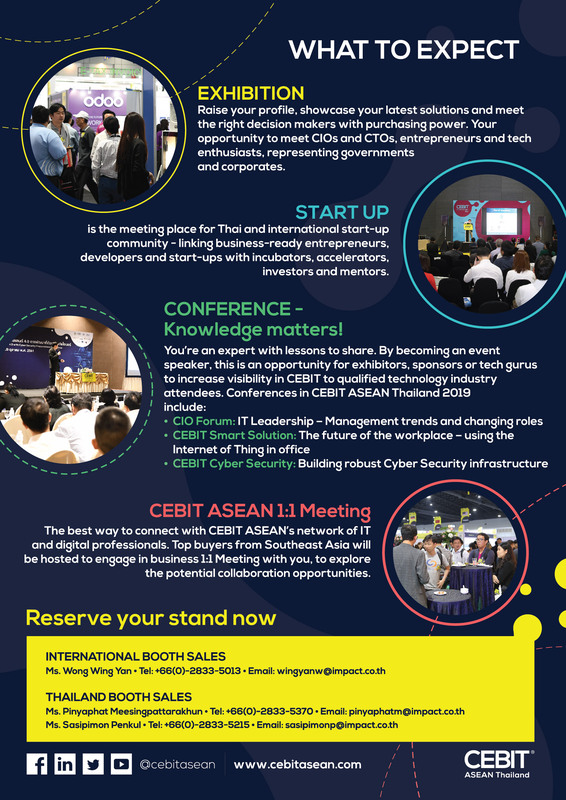 CEBIT ASEAN Thailand 2019 is organised by IMPACT Exhibition Management Co; Ltd. (Thailand). 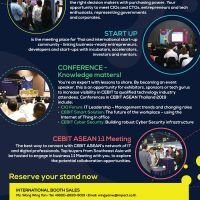 Deutsche Messe is Show Consultant of CEBIT ASEAN Thailand. 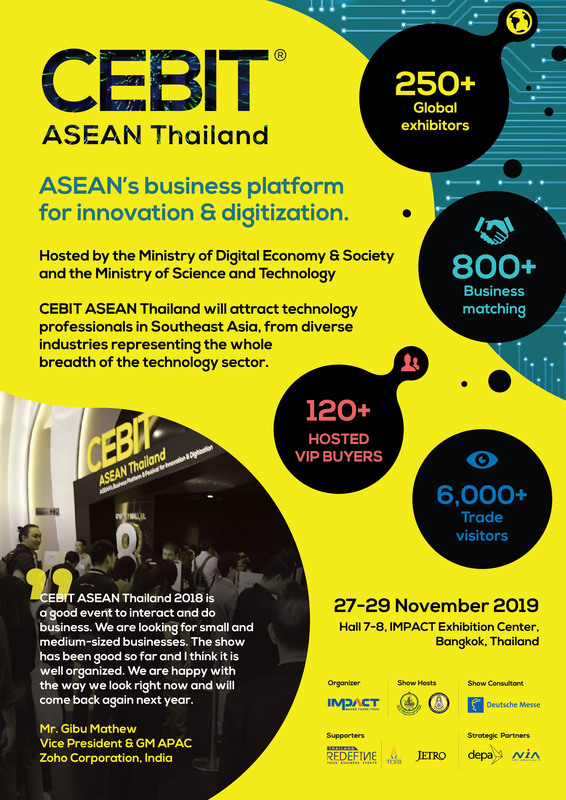 This exhibition will take place at Hall 11-12, IMPACT Exhibition & Convention Centreon 27th to 29th Nov 2019. 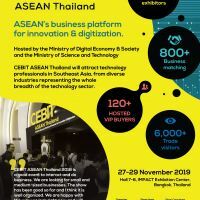 © 香港軟件行業協會 . All Rights Reserved.